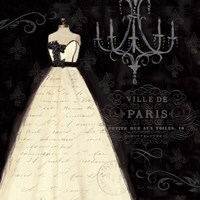 Different people from different geographical locations have unique things that define them. 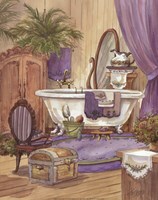 These include building architecture, interior design, tools, and so on. 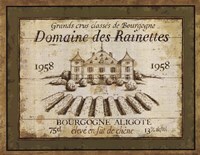 Such unique elements have also evolved over time, resulting in designs that are slightly or completely different from their vintage counterparts. 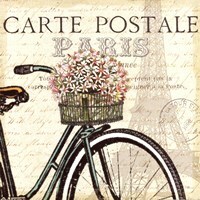 The same is true with vintage French tools, buildings, clothing, and more. 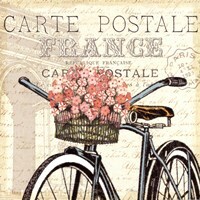 Vintage French has its exquisite appeal, something that makes them famous with many. 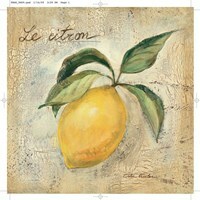 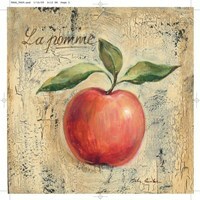 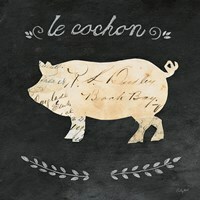 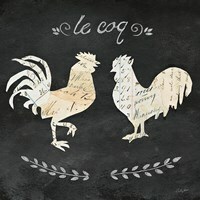 We have several vintage French prints that capture vintage French elements. 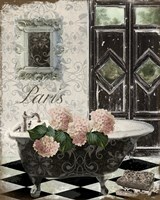 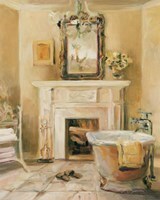 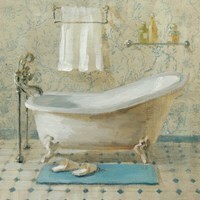 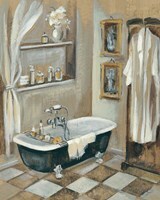 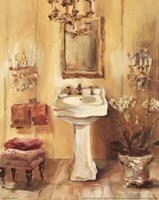 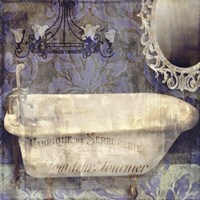 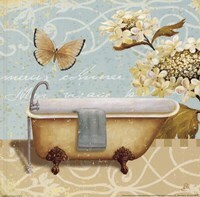 For example, an artwork like "French Bath IV" by Silvia Vassileva shows the design of a vintage French bath room. 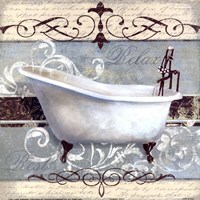 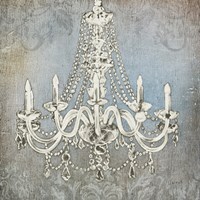 Such an image can be used on a bathroom wall to achieve quite immersive inspirations. 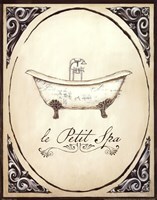 A vintage French poster like "French White II- Petite" by J. 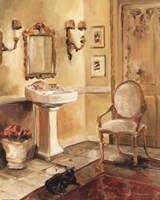 B. Jeffrey can on the other hand be used on a toilet door to provide direction and to add to the elegance of the interior design. 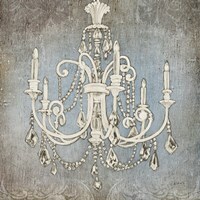 Their variety also means you can find the most fitting one for your needs. 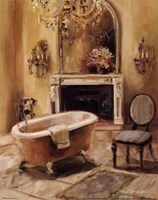 You can therefore get a vintage French wall art for your salon, laundry room, living room, bathroom, or any other place you deem fit. 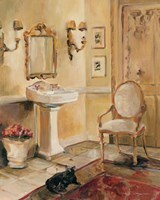 What’s more, these images offer you both quality and diversity. 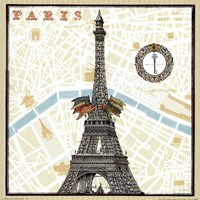 The images are availed in different color shades, image effects, sizes, and orientation. 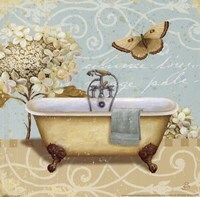 That simply means more choices for any design impression you would like to achieve with your design. 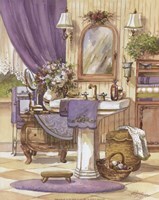 These vintage French posters can serve you as pin-ups, but you can achieve more by having them enriched through the finishing options we’ve availed for you. 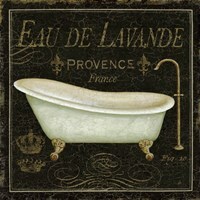 All you got to do is to identify a given vintage French art then select a preferred finishing option. 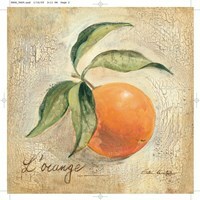 The available options are canvas printing, framing, and lamination. 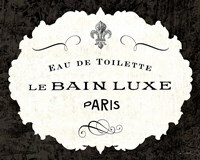 Each of these options has its unique advantages for any given use.